When you don’t have much time for planning or when you’re tired after a long day and your fridge is half empty, a well-stocked pantry can save one's life. There are heaps of different ways to create easy, quick meals at home with only a few ingredients which are healthy and animal-friendly. One’s pantry can be individualized according to personal taste and food allergies, but these 10 staples are a great way to get started. Different types of Pasta: Tagliatelle, spaghetti, fettuccini, penne, linguine and many more pasta variations are must- haves for a quick dish! Pasta is easy to cook, inexpensive, fills you up and can be used in a variety of ways. For an animal-friendly version, make sure that you choose durum pasta without eggs and go for wholemeal pasta if you’d like to make it extra healthy. Dried and Canned Beans/Legumes: Beans are easy to prepare, healthy and super delicious. You can use them for a salad or soup or create a main dish like chili sin carne, dals, stews, with vegetables or keep it plain and simple. Canned beans and certain lentils are real time savers when it comes to cooking! Chickpeas, kidney beans, peas or soybeans are excellent sources of dietary fiber, protein, B vitamins and minerals. By eating more beans and legumes as a source of protein instead of meat, you can choose an environmental friendlier option, too. Grains: can make an animal-friendly meal interesting by adding rice, quinoa, bulgur, millet and/or couscous. Depending on your preferred dish, you can choose between many rice types – wild rice, risotto, long-grain brown rice or just white rice. Rice can be used as a main component in a dish or as a side dish. Oats are another tip if your like “meatballs” or patties. So don't miss out to have some available whenever you need them! Tomato Paste: Each dish needs a source, otherwise it can turn dry. For all tomato-lovers - tomatoes, either fresh or canned, crushed or pureed, or as a sauce or paste, are the easiest way to create a sauce for any kind of dish. If you prefer an already-prepared tomato sauce, check out the label and read the ingredients to make sure that its animal-friendly. Vegetables: Either fresh, frozen or canned you should have at least three different types of vegetables on hand whenever needed. Depending on what you prefer, carrots, corn, mushrooms, artichokes or tomatoes should be available in your pantry. If you mix those with beans (kidney or peas) you can create a colorful, tasty dish. Veggies can be eaten at any time and suit every dish. You can eat them cooked, raw, fried or baked. If you’d like to keep an eye on the environment, choose organic and seasonal vegetables. Potatoes: For casseroles, stews, and pies you should definitely have potatos in your kitchen. Packed with vitamins and fiber, potatoes will keep you cozy in the winter and cool in the summer. Whatever you prefer, with a colorful variation of vegetables and a nice sauce you won’t miss out on anything. Oils & Vinegars: Different types of oils can be used for different cooking purposes. Use oil instead of animal-derived butter for searing or frying. Different oils have different smoke points. Olive oil is healthy and can be used for low and medium heat cooking or baking, whereas sunflower, canola, rapeseed or coconut oil can be used for very high heat or for frying. 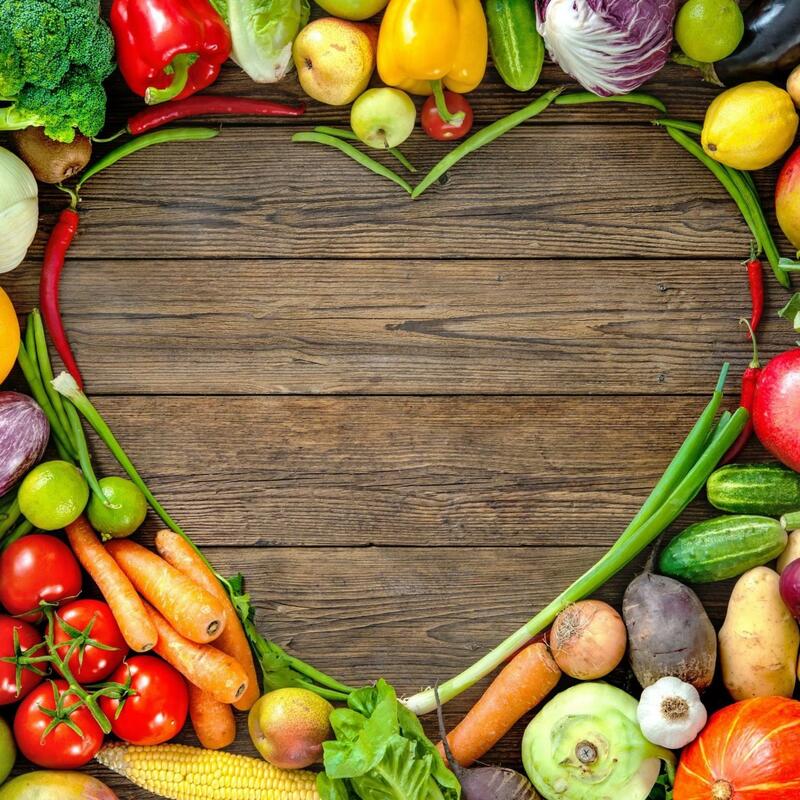 Overall, most health organizations recommend eating unsaturated fats, which are covered by nearly all plant-based options (except coconut and palm oil). Balsamic, red wine vinegar, brown rice vinegar and apple cider vinegar are essential vinegars to refill your pantry with. As a tip – a quick dash of vinegar in your dish you will give the perfect taste. Flour: is not only suitable for baking, it’s perfect to thicken your sauce or to make a roux (a mixture of fat). You can also fry vegetables with flour! As you can see – it’s an allrounder and should always be available in your pantry. Non-dairy milk: Before stocking up your pantry try different kinds of drinks – oat, coconut, soy, cashew, almond or rice. You will experience that each of them has its own taste. Instead of dairy milk you can use cashew or almond milk for baking and to add a nice coconut flavor to your dish you can use coconut milk for an exotic meal. Non-dairy milk is perfect for creating gravy and sauces, too. And the best thing is: no animals need to be kept in intensive keeping conditions for it. Spices & Herbs: To add the extra flavor to your dish you should have a mix of dried spices and herbs in your pantry like chilis, oregano, thyme, rosemary, mint, basil, dill, parsley and sage. Spices and herbs are the most essential ingredients. 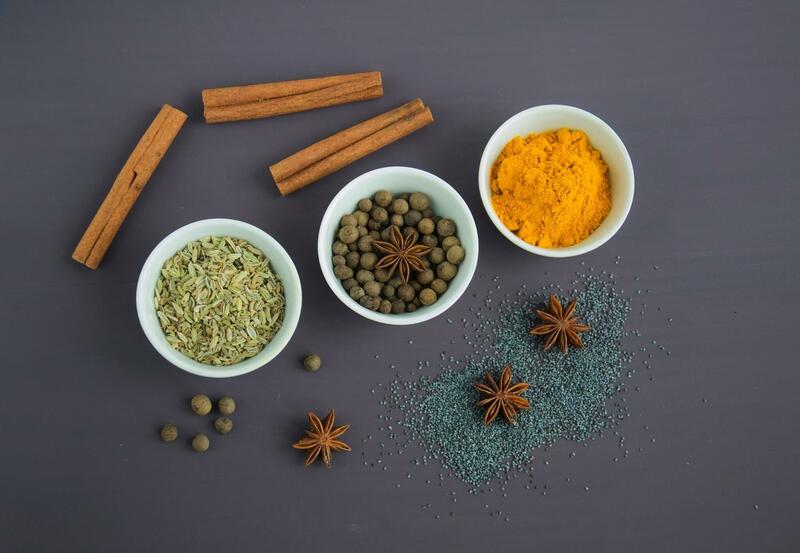 Spices like cardamom, cumin, paprika powder ginger, muscat and cinnamon give a great taste depending on your preferred dish. Garlic, either dried, as a powder or fresh is another must-have in every kitchen alongside with salt and pepper. Vegetable Stock / bouillon cubes: Stocks and bouillon cubes are essential to making soups, gravy, sauces, marinades and many other recipes. You can either make your own stock or if you don’t have the time you can buy some. Bouillon cubes are the cheapest option to choose. In any case vegetable stock is the most animal-friendly, so when buying please pay attention to the label. For healthy cooking, it’s always better to have fresh products in your kitchen. However, with these 11 staples in your pantry, you can cook last-minute delicious and animal-friendly meals any time!